THE SKINNY: When you see the pale pink packaging and hear the name "Romance," you assume this is going to be girly. 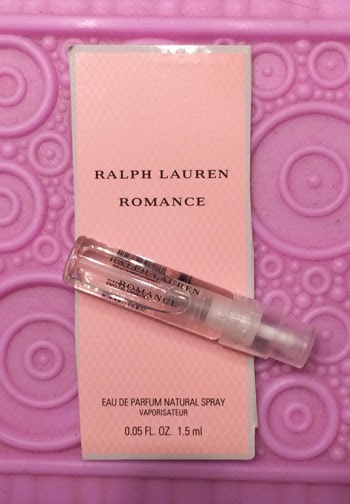 This Ralph Lauren fragrance fits that bill for sure, but in a way that I did not mind at all. From Ralph Lauren: "Romance is the women's fragrance that evokes the timeless essence of falling in love -- discover the sensual essence of velvety woods, extravagant florals and seductive musk." I don't know if smell is enough to make you fall in love, but this is a nice everyday scent that is feminine but not too overwhelming. CHECK IT OUT: You can buy the fragrance, gift sets or other Romance items at department stores or direct from Ralph Lauren.